3Who Invented the Scientific Method? 2Who Invented the Scientific Method? The Islamic Golden Age, spanning the 8th to the 15th Centuries, saw many great advances in science, as Islamic scholars gathered knowledge from across the known world and added their own findings. One of these important fields was Islamic medicine, which saw medical practice begin to resemble our modern systems. Certainly, this period of the history of medicine was centuries ahead of Europe, still embedded in the Dark Ages. Central to Islamic medicine was belief in the Qur'an and Hadiths, which stated that Muslims had a duty to care for the sick and this was often referred to as "Medicine of the Prophet." According to the sayings of the Prophet Muhammed, he believed that Allah had sent a cure for every ailment and that it was the duty of Muslims to take care of the body and spirit. This certainly falls under the remit of improving the quality of healthcare and ensuring that there is access for all, with many of the Hadiths laying down guidelines for a holistic approach to health. Initially, in the early days of Islam, there was some debate about whether Islamic physicians should use Greek, Chinese and Indian medical techniques, seen by many as pagan. After intense debate, the Islamic physicians were given free rein to study and adopt any techniques they wished. The major contribution of the Islamic Age to the history of medicine was the establishment of hospitals, paid for by the charitable donations known as Zakat tax. There is evidence that these hospitals were in existence by the 8th Century and they were soon widespread across the Islamic world, with accounts and inventories providing evidence of at least 30. These hospitals, as well as providing care to the sick on site, sent physicians and midwives into the poorer, rural areas, and also provided a place for physicians and other staff to study and research. These hospitals varied in role, some aimed at serving the general population, with others providing specific services, such as the care of lepers, the disabled and the infirm. The system of educating physicians was well structured, usually on a tutorage basis, and the reputation of the individual physicians in certain areas ensured that students would travel from city to city to learn with the best. In addition, the Islamic physicians were meticulous with their recordkeeping, partly as a way to spread and share knowledge, but also to provide notes for peer review in case the physician was accused of malpractice. 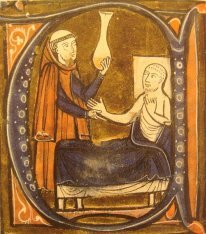 Many Islamic physicians made outstanding discoveries in all aspects of medicine during the Islamic Golden Age, building upon the knowledge of Galen and the Greek and adding their own discoveries. The most notable Islamic scholar in the history of medicine was al-Razi. Al-Razi, known to the Europeans as Rhazes (may be spelt Rhases, Rasis, Rasi or ar-Razi) (850 - 923), was at the forefront of Islamic research into medicine. A prolific writer, he produced over 200 books about medicine and philosophy, including an unfinished book of medicine that gathered most of the medical knowledge known to the Islamic world in one place. This book was translated into Latin and it became one of the backbones of the western history of medicine. Rhazes was also famous for his work on refining the scientific method and promoting experimentation and observation. His most famous achievement, when asked where to select a location to build a hospital in Baghdad, was to hang meat in locations around the city, and select the spot where the meat rotted the least. He assumed that the patients would be less likely to suffer from illness and putrefaction of the flesh in this location. He served as the director of this hospital for a large part of his career and performed most of his research that defined Islamic medicine. Reproduction in 'Inventions et découvertes au Moyen-Âge', Samuel Sadaune (Public Domain). Source Gerardus Cremonensis 'Recueil des traités de médecine 1250-1260. Al Razi wrote extensively on the crucial relationship between doctor and patient, believing that they should develop a relationship built upon trust and, as the doctor had a duty to help the patient, the patient had the duty to follow the doctor's advice. Like Galen, he believed that a holistic approach to medicine was crucial, taking into account the background of the patient and also considering any ailments suffered by close family, as with modern medicine. His other great achievement was in understanding the nature of illness, which had previously been described by the symptoms, but Rhazes made the great leap of looking for what was causing the symptoms. In the case of smallpox and measles, he blamed the blood and, as he could not have known anything about microbes, this was a logical statement. Al Razi wrote extensively about human physiology and understood how the brain and nervous system operated muscles, and only the Islamic distaste for dissection prevented him from refining his studies in this area. The Islamic scholar Ibn Sina, Avicenna, was a true polymath who excelled in many academic fields, including philosophy, theology, Islamic medicine and natural sciences. From a young age, he gained renown as a physician and teacher, writing many detailed treatises about medicine. His publication, 'The Canon,' became a core text for physicians across the Islamic world and Europe, laying out a detailed guide for diagnosing and treating ailments. Ibn-Sina believed that many diagnoses could be made by simply checking the pulse and the urine, and a large part of the Canon is given over to making diagnoses from the color, turbidity, and odor of urine. Of course, this also needed to be set alongside the Islamic holistic approach of looking at diet and background. His other breakthroughs were some suggestions for infant care and, based upon his belief that bad water was responsible for many ailments, he included guidelines on how to check the purity of water. Many of his remedies were ultimately ineffective, but he had many more hits than misses and contributed greatly to the history of medicine. Al-Kindi (800-870), another of the great Islamic polymaths, further contributed to the history of medicine. This scholar was heavily influenced by the work of Galen, and also made unique contributions of his own to the field. In his Aqrabadhin (Medical Formulary), he described many preparations drawn from plant, animal and mineral sources. To the drugs known to physicians such as Hippocrates and Galen, he added knowledge drawn from India, Persia and Egypt. Like many Islamic works, the books contained information based upon medicinal herbs, aromatic compounds, such as musk, and inorganic medicines. It could, quite legitimately, be argued that the Islamic contribution to the history of medicine saw the first divide between medicine and pharmacology as separate sciences. Ibn Al-Nafis (born 1213) goes down in the history of medicine as the first scholar to understand the respire-circulatory system, although his knowledge was incomplete. He understood that the heart was divided into two halves and stated that there were no pores connecting the two halves of the heart, as proposed by Galen. Al-Nafis stated that the blood could only travel from one side of the heart to the other by passing through the lungs. This was the first example of a scholar divining the nature of the pulmonary system. Although he was unsure of the mechanism, Al Nafis correctly observed that the blood in the lungs mixed with air, although he also proposed that the blood was also infused with 'spirit' in the left cavity of the heart. His other observation was that the heart was nourished by the web of capillaries surrounding it not, as proposed by Avicenna, the right ventricle of the heart. He touched upon the subject of the role of capillaries in circulation, proposing that the pulmonary artery and vein were linked by microscopic pores; it would not be until four centuries later that this theory was rediscovered and the idea of capillaries was extended to the rest of the body. The pulse was well known to Islamic medicine, and to the Egyptians before them, but Al-Nafis was the first to understand the mechanisms behind the pulse. Galen proposed that the arteries pulsed naturally, and that the entire length of the artery contracted simultaneously, but Al Nafis believed that the pulsation was caused by the action of the heart pushing blood around the body. He correctly noted that the pulsation of the arteries lagged behind the action of the heart and that it did not occur simultaneously down the whole length. However, Al Nafis believed that this motion of the blood was a means to disperse spirit, which would burn out the heart if it resided there for too long. He proposed that this spirit would become stagnant if left to rest in the arteries, and so the circulation was essential. Whilst his theories of the heart and pulmonary circulation were reliant upon this invisible spirit, there is little doubt that his proposals were a major step towards understanding how the body works. Sadly, much of his knowledge did not pass into western history. Some of his other observations were based upon his observations in dissection, of which he was a great proponent, and he corrected many misconceptions in physiology concerning the brain, gall bladder, bone structure and the nervous system. Sadly, because very little of his work was translated into Latin, his work was woefully underutilized by western scientists and even the likes of Leonardo Da Vinci made incorrect observations based upon Galen and Avicenna, without realizing that Al Nafis had already addressed many of these issues. His other great contribution to Islamic medicine was his pharmacological works, which drew remedies from all across the world but also introduced mathematics and the idea of dosages to administration of treatments. 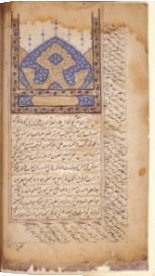 There are many examples of medicines unknown to the Arabic regions passing into their medical books, and, in the 6th Century the Persian doctor, Burzoe, traveled to India and brought back many remedies, in addition to gathering information from the hired Indian physicians and healers working for the Caliphate. Many Sanskrit works were translated into Arabic and Indian medicine certainly lay at the heart of Islamic medicine. Al Tabari, (810 - 855) wrote a book known as 'The Paradise of Wisdom,' in 850, which was based largely upon the earlier works of Galen and Hippocrates, but it also included an appendix with translations from Indian sources. 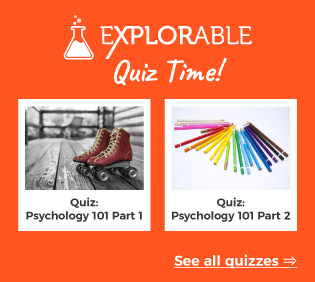 Like many physicians of the time, his work involved providing better and more detailed encyclopedias, containing the medical knowledge available at that time. Sadly, it is believed that most of his works are lost and are only referred to as quoted in later texts. Al Hakm (Died 840) wrote the earliest known book in the medical sciences in the Islamic world and it drew heavily upon Greek sources, including information about physiology, surgery and general healthcare, amongst other sections. 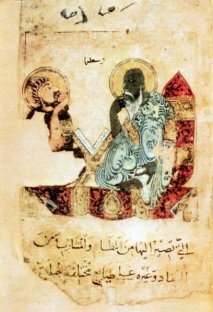 Yuhanna Ibn Masawyh (777 - 857) was regarded as amongst the great translators of work from Greek into Arabic, but he also acted as a physician to the Caliphs and served at a hospital. He is believed to have written the works 'Disorders of the Eye' and 'Knowledge of the Oculist Examinations' as well as Kita al Mushajjar al-Kabir, a short work including descriptions, diagnosis, symptoms and treatments of diseases. Hunayan ibn Nishaq (808-873), known as Johannitus in the West, was one of the titans of Islamic medicine and was a prominent author of medical texts, covering a variety of disciplines. As well as extensive translation work, he wrote a book called 'The Book of Introduction to Medicine,' which drew heavily upon Galen but also included many unique and novel additions. His work was probably the first Islamic medical text translated into Latin. Whilst the Age of Islam was a time of intellectualism and scientific, social and philosophical advances, the greatest contribution to the world was Islamic medicine. The Islamic scholars gathered vast amounts of information, from around the known world, adding their own observations and developing techniques and procedures that would form the basis of modern medicine. In the history of medicine, Islamic medicine stands out as the period of greatest advance, certainly before the technology of the Twentieth Century.